UTM-1411 Pipe Ring Stiffness Tester is applies to determine thermoplastic pipe ring stiffness which with a circular cross section. And it can also be applied to flat experiment, ring flexibility experiment, etc. The instrument meets the requirement of test standards for PE double-wall corrugated pipe, coil pipe and all kinds of plastic. Note: this Pipe Ring Stiffness Tester can conform to ISO 9969-2007, ISO9967 but not limit to all the standards above, for more standards conformance, please contact us. 2 PC software control machine, the operation is simple. the transmission system with distributed control system composed of PC and single chip microcomputer control digital ac servo motor, to control the beam move up and down according to standard requirements speed , pressure on the pipe sample by sample clamp. 4. The software provide function: test parameter set, the standard input, measurement, data analysis, experiment curve color Set, process control, print test reports, test reports export to HTML web pages, and other functions. 5. In process of test, you can open multiple test records and can do all operations. 6.The software provide: force - displacement, stress - strain, stress - displacement, displacement - time strain- time and etc. type curve, and provides a curve archived bitmap, curve smoothing, zoom, coordinate system configuration, and many other functions. 7.Free to add or remove regular parameters. Using the latest agreement, data fault-tolerant ability is stronger. 8. Software provides online update, convenient to upgrade your software system, and provide a feedback module, help you solve your problems. 9. This ring stiffness testing machine has passed the European CE product certification. C. Our Pipe Ring Stiffness Tester adopts top quality material including imported parts, most of the critical component are adopting first class brand . 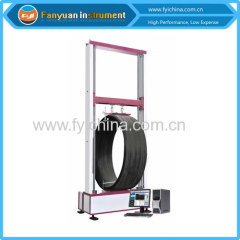 user manual of Pipe Ring Stiffness Tester can help you operate our machine easily. 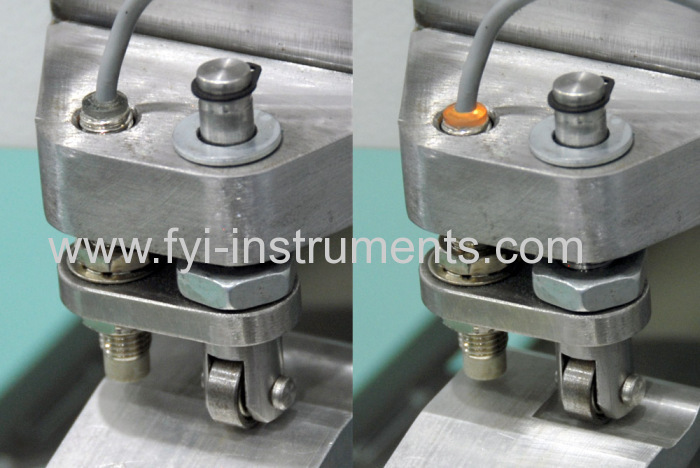 A:Each Pipe Ring Stiffness Tester must be carried out 100% quality examination and test when shipping and delivery goods.